Jeep is known for its sport utility and off-road vehicles, but the recent expansion into the crossover SUV market has proved very successful for this branch of Chrysler. Buyers have discovered that the vehicles are solid, can handle the sometimes rough weather of Fort Wayne, and are long lasting. 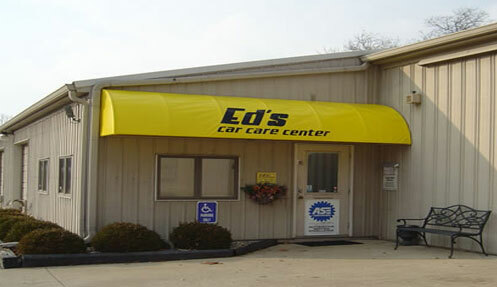 At Ed’s Car Care Center, we specialize in providing quality Jeep repair. If you own a Jeep, you understand that this vehicle is a true machine and not just any mechanic service will do. We can provide service and Jeep repair for any of the older Jeep models as well as the newer Compass, Patriot and Wranglers. We use state of the art diagnostic testing equipment to help us isolate and identify any problem you may be having with your Cherokee or Grand Cherokee. If you have one of the discontinued models of sport pickup trucks, come in and we can provide any repair using OEM and approved replacement parts. Your Jeep can last just as long as you care for it. 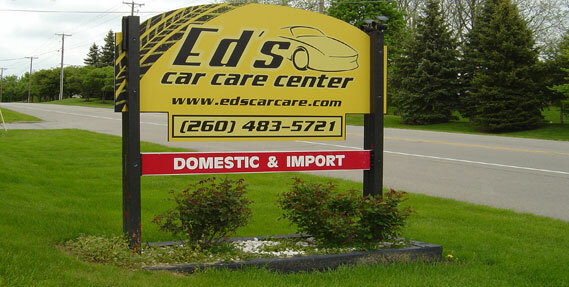 Come in to Ed’s Car Care Center for all your Jeep repair needs in Fort Wayne. You will be happy with the attention and detail we provide to you and your vehicle. We are conveniently located and our friendly service staff will be happy to explain the Jeep repair estimate so you feel confident in the work that is to be performed. All of our work is done according to Jeep factory standards and maintenance recommendations for standard and heavy use wear on the engines and drive trains.